Any other 50watts compact/mini heads ? Discussion in 'Amps and Cabs' started by xMax_X, Apr 25, 2016. Hey! I saw the EVH 5150 4 min head demo and was wondering if there was any other head that had the same wattage in the same format/compact/mini sized head cab? I currently have a sovtek mig50h and love the smaller size for the portability. 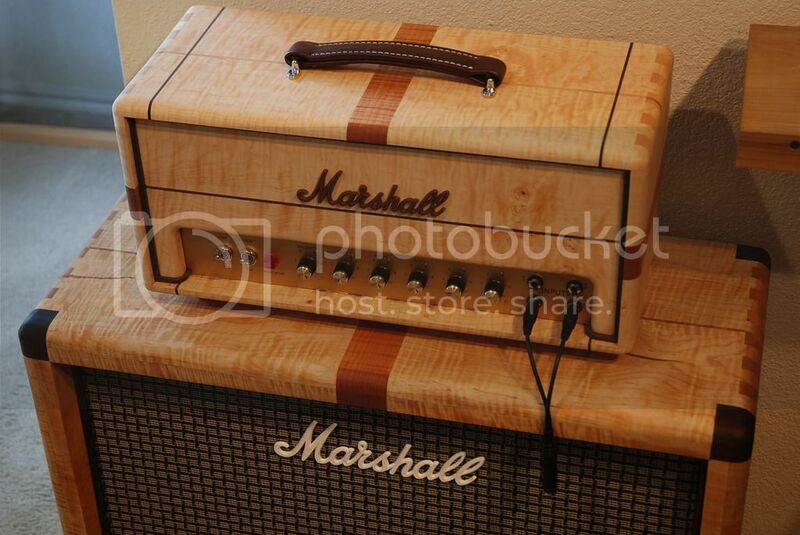 Also have a marshall Jmp 2203 which I love for the tone but the head is so large. Other than portability, I just love the way those smaller heads look. Heard also about the jubilee 2553, which is quite cool but also quite rare and hasnt been reissued. Looking for marshall type tones, mid gain to high gain. There is the 2204SE, which is a small (24") 2204 head. They're pretty rare, only made for 1 year. It's every bit a 50W 2204, in a small box. Here's my 2204SE on a mojo 2x12 slant. xMax_X, Ilduce, wilto and 1 other person like this. Thats sick! But yeah I guess it would be pretty hard to find..
Jackson Ampworks makes some tiny 50 watt heads. Another off the top of my head is the Brunetti Pleximan. Sovtek Mig 50H Tube Midget, awesome amp! Victory do these even smaller. VX the Kraken is 50W in a lunchbox head. V40 and V30 are the same form factor. The difference between 40W and 50W should be negligible. Most Boogie heads are small. 50W Mk V would be in the right ballpark, and extremely versatile. 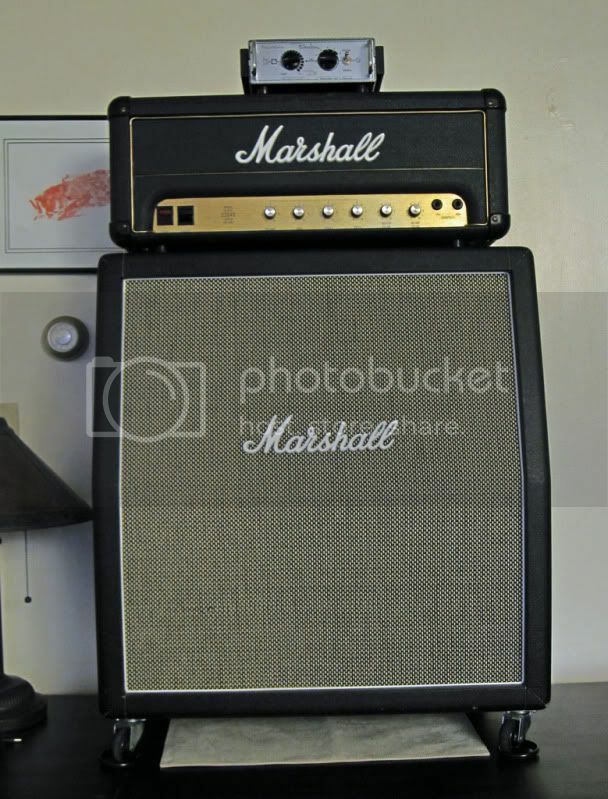 Marshall 1987s and JMP 2204s can be mashed into a 20" wide head shell. Most custom cab builders can build you one. I know Mojo builds a 24" head. xMax_X, voojo, lizardking and 2 others like this. Small and really nice sounding! @JimSoprano : Yeah the Mig50h is awesome sounding. I also find its a bit dark. The pleximan looks good and sound awesome. As for the mesa amps, more looking for a classic crunch tone...More looking for a simple amp too, those lunchbox amp with the grilled style headcab arent really what I'm looking for either... I think they look quite horrible too... just my opinion haha. I guess a used pleximan or a jmp 2204 with a custom cab is the best option for now. Thanks for the suggestions!